After failing to make the 2018 Olympic team for Team USA, Jason Brown decided to make some big changes. Looking ahead to the 2022 Olympic games in Beijing, China, the 2015 U.S. Champion left his long-time coach Kori Ade in Colorado Springs to train with two-time Olympic silver medalist Brian Orser and his team (Tracy Wilson, Karen Preston and Lee Barkell) at the elite Toronto Cricket, Skating and Curling Club in Toronto. 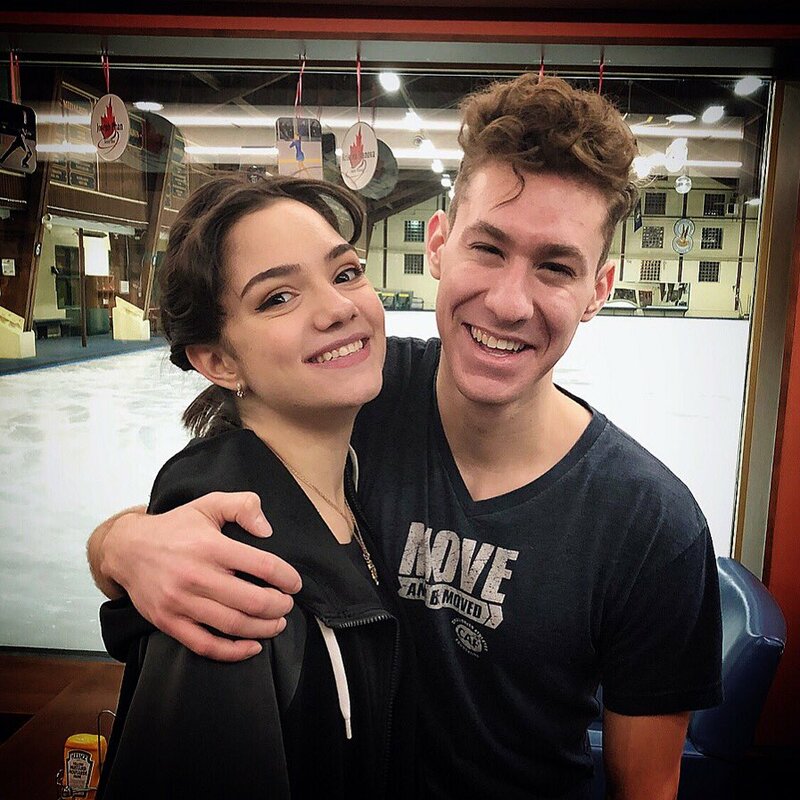 There, Brown is training alongside two-time Olympic gold medalist Yuzuru Hanyu and 2018 Olympic silver medalist Evgenia Medvedeva, who also moved to Toronto this summer to train with Orser. The 23-year-old from Highland Park, Illinois is still adjusting to his new training environment and new coaches. At his first competition of the season, Autumn Classic International, Brown finished just off the podium in fourth place. 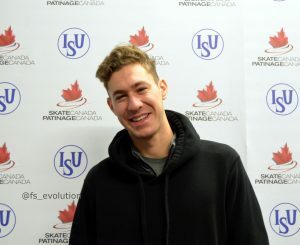 At his first Grand Prix of the event, Brown placed 11th in the short program and sixth in the free skate to finish sixth overall at Skate Canada. Brown will compete at the final Grand Prix event of the season, Internationaux de France, November 23-25. And while Brown has a very low chance of making the Final, Brown is reminding himself of the big picture–making the 2022 Olympic Games. 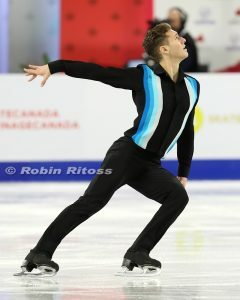 He talked about that with Figure Skaters Online after Skate Canada, Oct. 28. Figure Skaters Online (FSO): Your change of coaches(from Kori Ade in Colorado Springs to Brian Orser in Toronto) was made with a four year plan in mind to rebuild yourself. Give that this process takes time, how do you keep motivated knowing that you may have to wait a while to see the results you want? 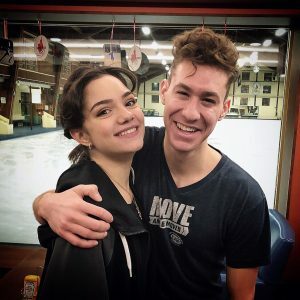 Jason Brown (JB): I think that there’s an understanding that it is going to take time and you know you have to be patient, with new technique, a new team. Things are going to be uncomfortable. You are learning how to deal with each other in pressure situation and day-to-day training, trying to click. I tell myself a million times it is going to take time, but it is easier said than done because you get to competitions and you want to feel ready and perfect. You are forced into competing at a time you are going through so much change. I fully understand that it could take a year to get really comfortable, but when you are at a competition, the athlete comes out and you want to be your best. But after the competition is when I’m able to step back and realize I’m going through a lot of change, and see that I learned x, y and z this week. FSO: What was the biggest technical adjustment? FSO: How are the jumps feeling with this new technique? JB: The thing that I love so much is that I feel so much better when it comes to my jumps, but it is not automatic. When I compete, I go into this autopilot mode and that is something that I’m not able to do right now, and that is really challenging, but there are moments in practice and moments in the competition where it clicks. What they are teaching me is really coming through in the jumps and I feel such a difference, but there still is this kind of back and forth of the change. It is this push and pull that is happening right now that is a little challenging. There’s moments but I need to make it now as consistent as I can. FSO: You have been training the quad toe for the past few years and now you are attempting the quad salchow in competition. 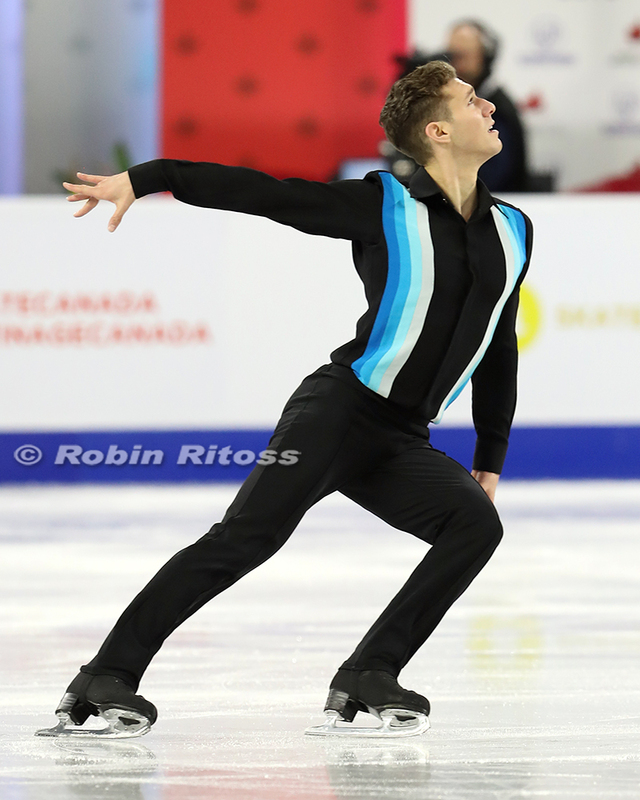 Is your quad salchow more consistent in training? JB: It’s just a technique thing. We are taking it step by step and the technique we are training for the salchow is coming better and clicking quicker than the (quad) toe is. FSO: What are some short and long term goals you set? JB: Long term, I’m fully focused on the 2022 Olympics. Right now, I’m building the base and going up. I love performing and I love skating, but I really want to get back on the Olympic team. For short term, it’s really taking the steps right, being patient and mastering the technique and the skating skills and program the way Tracy Wilson is working so closely on; becoming more mature and being open to the change while continuing to push myself and getting stronger. I obviously want to make the World team. To do that, I have to medal at Nationals. There are steps along the way, but I want to make sure I learn things properly with a solid base. FSO: What’s a typical training day like for you? JB: I skate about 2-3 sessions depending on the week, for total of 2-3 hours a day. Then pilates and cardio are my two main workouts. Through the week, I also have a bit of strength training. Right now, my sessions are focused on jumps technique and integrating them into the program. Tracy (Wilson) is really big on the skating skills but she sees it all at one, the jump starts from all the way to the other side of the rink, all the elements lead to one another, so I focus on the speed, flow and cadence of the steps going into the jumps. FSO: What are the dynamics of training in a rink along side numerous top athletes, like Yuzuru Hanyu and Evgenia Medvedeva? How did this change affect you? JB: It’s so different, I love it. One cool thing is that we are five seniors are all from different countries. There’s a cool vibe. Sometimes, we are competing at the same event and so supportive of one another. The training session is exciting and it moves fast. People are flying by non-stop. I was a little nervous at first, but I love every minute of it. It is fun now to come to an event such as Skate Canada and have Evgenia (Medvedeva) and Jun (Junhwan Cha) alongside and their support. We are really like a family. FSO: Rohene Ward, your choreographer for many years, choreographed your short. David Wilson, with whom you’d never worked before, choreographed the long. How different is the choreographic process with the two of them? What was the challenge of working with a new choreographer like? JB: I worked with Rohene for 12 years. 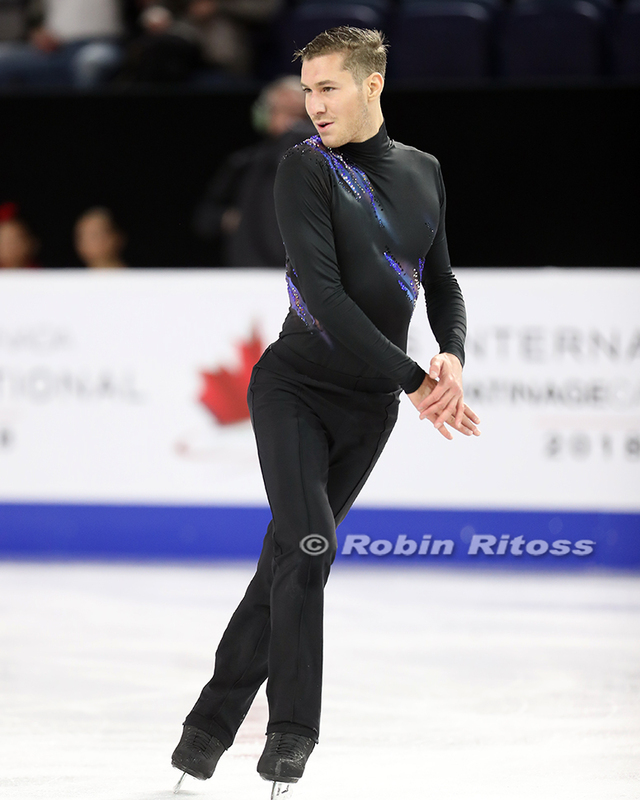 When I heard the music for the short program, I asked him immediately to choreograph it and when I moved here, I sent my coaches the short and they said they liked it, but they wanted to do the long. David was incredible. It was so interesting to see what someone else would do with me, the direction they wanted to go. David wanted to strip me back and have it simple and clean and focus on lines and a simplistic look. I wasn’t completely sold on the program. It did take me a little bit after being used to a certain way Rohene works with me and we build the program. I’m the most open person, but it was hard at first. The process of creating the program was amazing, David is brilliant. As we got to know each other more, we started changing the program little by little. At the beginning, there was no spiral, no split jump, but I didn’t want to give too much input because I wanted to see what he was going to do with me. But after that they were like.. ‘where is Jason? You do a split jump, why don’t we put that back in.’ It’s starting to change and mold to look more like me. So it’s fun to see how the program keeps building. FSO: What did you learn from David (Wilson)? 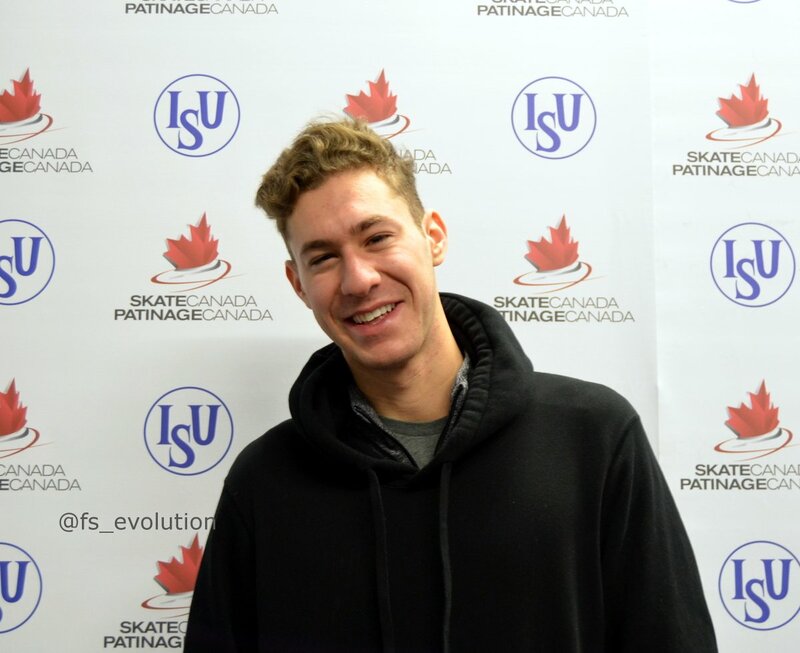 JB: He has this incredible ability of making the skaters look super mature on the ice and grown up and that is something that I really love about his choreography. It is all about this essence and this mature look. It is not about these crazy, crazy transitions. He makes the transitions difficult, but it is the fluency of his program. I guess I can’t speak to everyone’s program, but to my program he has really worked on this strip back, fluid movement things that link to one step to the next. What we did is just the base line that is going to keep changing as the season goes on. The way I did this program at Autumn Classic is different than I did here and we are kind of starting to add more and more as I get comfortable. FSO: What do you do in your free time in Toronto? Have you had the chance to explore the city yet? Do you spend time with any of your training mates? JB: Every weekend, I try to get into the city and explore it. I love it, it’s amazing. I grew up outside of Chicago so being back in a city is great. Evgenia and I went to walk through the gardens, then the first weekend she was there, I brought her to the CN tower and the city center and showed her around. I love the highlands. I’ve been paddle-boarding Scarborough bluffs and the lake front there, Kensington market, Saint Lawrence market, high park, the distillery district, they also have these bikes that you can rent around the city. I spend time with Evgenia and I’ve been so fortunate that we became friends so quickly and she likes spending time with me. She’s incredible.